Have you ever wondered how people celebrate Christmas in other places? Every country has its own traditional Christmas foods. Some celebrate in private while it becomes a community affair for others. Many of these activities are influenced by local customs and culture, particularly the food. From Australia to Iceland, everyone give this festival a unique touch cooking traditional family recipes. From German Stollen to Cuban eggnogs, there are many delicacies prepared with care and served with love. Discover some of these exotic treats with this guide on traditional Christmas foods across the world. You can add a new dish or two to your repertoire! The warm and sunny weather in the southern hemisphere adds to the festive bonhomie. 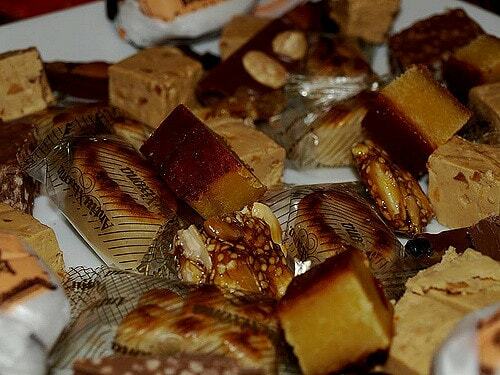 Traditional sweets include White Christmas slices made with copha or shortening and mixed fruit. 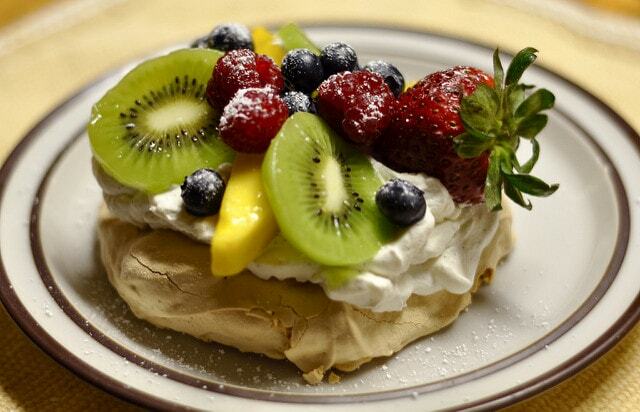 Pavlova, a meringue dessert garnished with kiwi or strawberries, is enjoyed in both Australia and New Zealand. Main courses range from cold ham to mince pie. 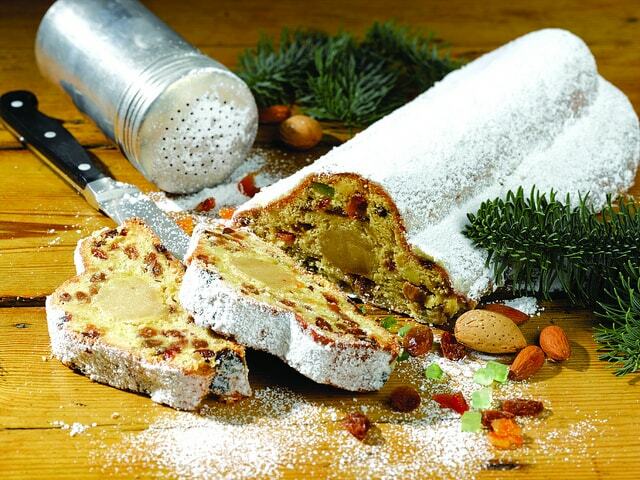 The tradition of Weihnachtsstollen baking goes back to the 15th century. 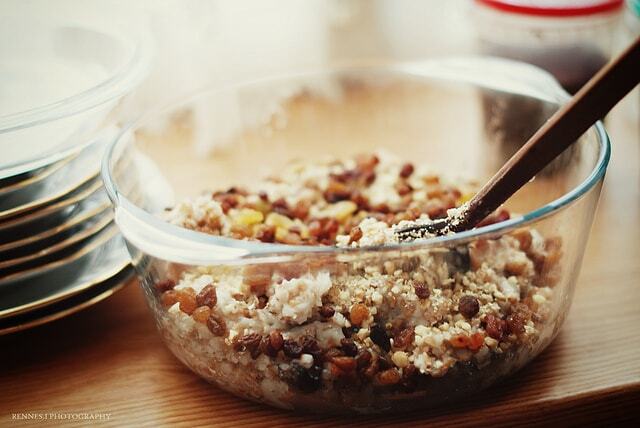 The dried fruit cake contains walnuts, raisins, spices, rum, comes with a marzipan core and gets a sugar coating. Then there are foods like Lebkuchen, baked apples with walnut stuffing, cookies, and main course of various roast meats. The chocolate yule log (Bûche de Noël) is synonymous with Xmas festivities in France. The traditional lunch includes venison, roast turkey, oysters, foie gras, goose and smoked salmon. In Provence district, home cooks prepare 13 different desserts representing Jesus and his chief disciples. 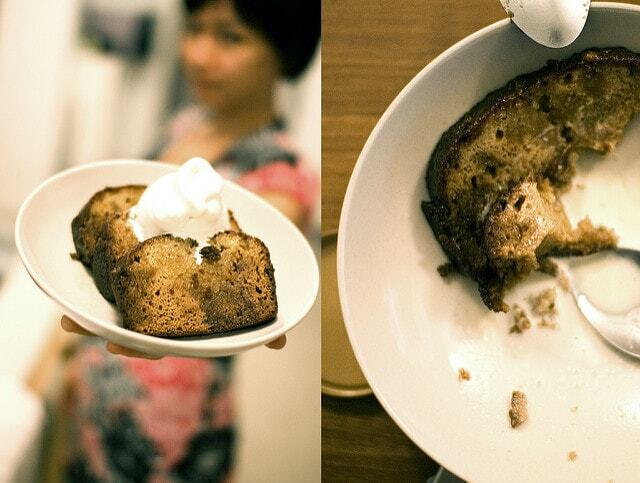 Panettone is one of the main treats among Italian food served during the festive season. 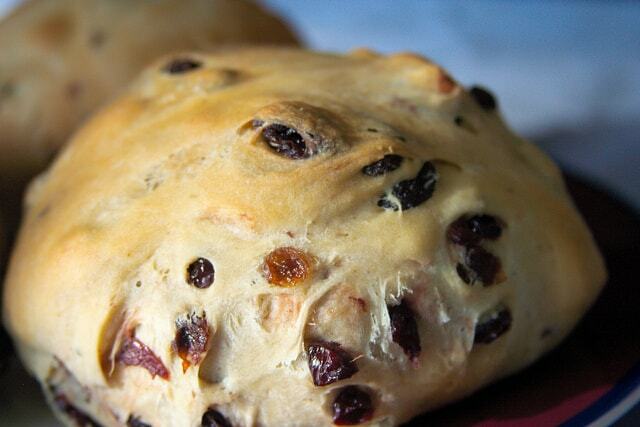 This tear-and-share sweet bread is a Christmas delicacy packed with sultanas, raisins, candied peel and fruits. 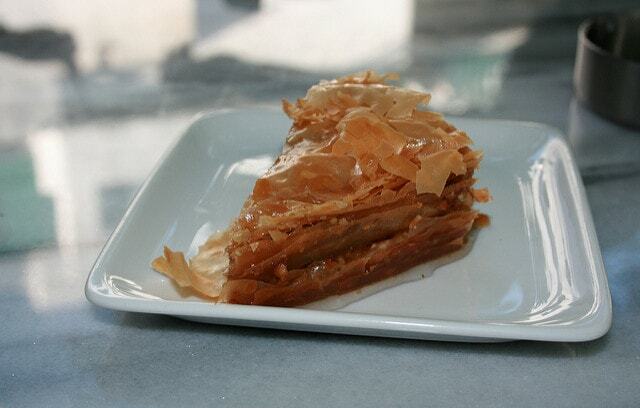 Baklava is the favourite sweet in Greece for festive occasions. This filo pastry contains chopped nuts mixed with syrup sauce or sweet honey. 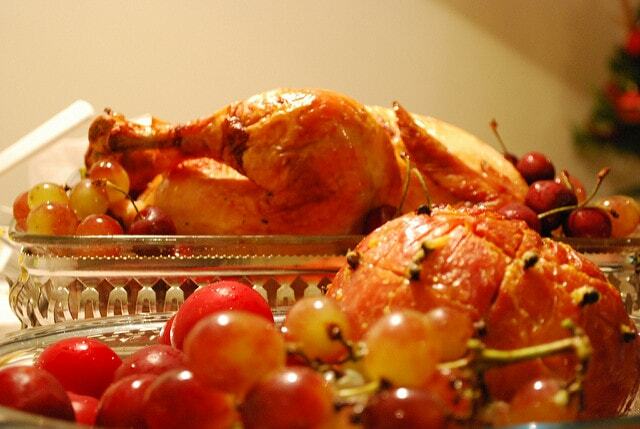 Christmas meals includes dishes like roasted pork or lamb and Avgolemono, a chicken soup with rice and eggs. 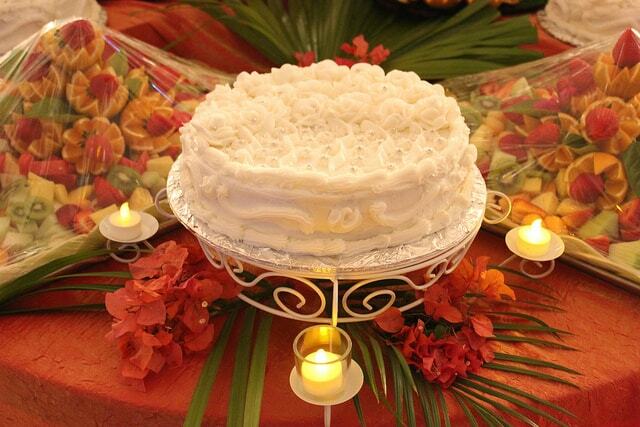 Fruit and rum cake is a big Christmas tradition in many countries and this Caribbean island is no exception. Dried fruit is soaked in rum and red wine for months before being baked. Other favourites include oxtail stew and goat curry. 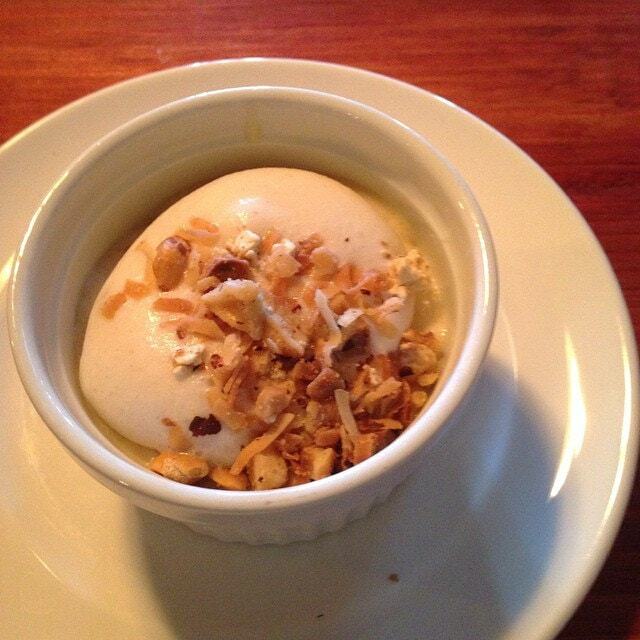 This corn-coconut milk pudding is a common festive treat in some South American and Caribbean nations. Majarete is made with corn, coconut milk, regular milk, vanilla, cinnamon and sugar. Suckling pig or Lechon asado, eggnog and turron are other holiday dishes. This is a chicken or turkey roast with a difference as the meat is marinated in spices and champagne. Other Christmas dishes include roast pork, ham, codfish, pork loins, mousse and crème caramel. Christmas Eve which is a meat-free day. Dinner consists of 12 dishes for the 12 apostles, and includes pierogi, pickled herring, cabbage rolls and uszka (stuffed dumplings). Fasting on Christmas Eve is common in Russia, followed by serving of Sochivo. This porridge is made of rice or wheat, nuts fruits, seeds and honey. 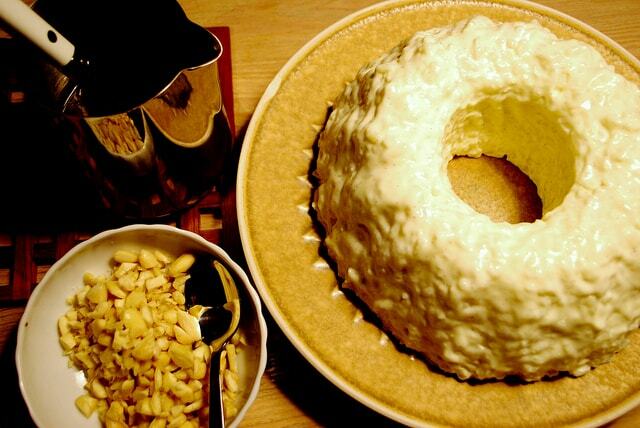 This popular Christmas dessert is a mixture of sugar, egg whites, almonds and honey. Other foods include dry-cured ham, Jamón, roasted meats, churros, and crumbly cakes. This mince pie flavoured with spices and apple cider is a popular meal among French-speaking Canadians. Christmas in this country is incomplete without an assortment of cookies, gingerbread, pudding, shortbread and roasted turkey. The North African country’s traditional Christmas foods include a slow-cooked chicken stew with chillies, garlic, berbere, ginger and cardamom. 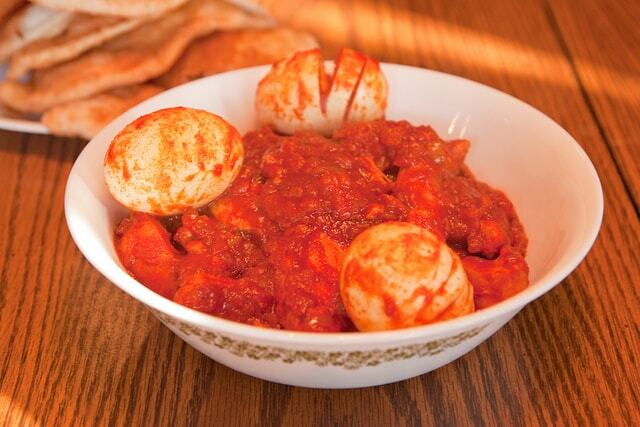 The dish is served along with boiled eggs. Holiday tradition involves grilled or roasted meats including beef, turkey or duck. Malva pudding, a sweet sponge cake is the favoured dessert. Other main dishes include mince pie and yellow rice with suckling pig and veggies. While there are other Xmas-specific foods including kulkuls (coconut cookies), rum-soaked fruit cakes occupy the pride of the omst famous Christmas food. Rum soaked cakes have many variants from plum cakes to the Allahabadi cake. You’ll find anything from dried fruits, spices and nuts to marmalade and ghee in these browned treats. Whole roast suckling pig and ham are centrepieces of the holiday table. Other savouries include Edam cheese, Pancit (Noodle dish), Chorizo, and Kadereta (goat stew). Desserts include Bibingka, a cake made with rice flour, sugar, butter and coconut milk and Puto Bumbong made with purple rice, sugar and coconut. Families get together to make this crispy flatbread from thin dough sheets. 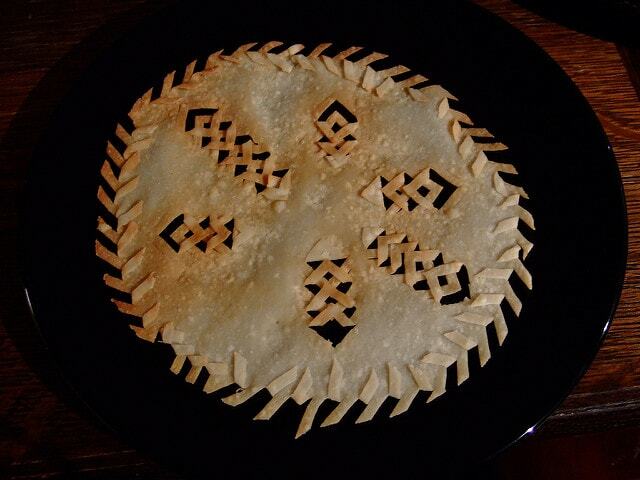 The leaf bread is cut with a special tool into geometric patterns and deep fried. The leg of roast lamb occupies the centre spot on the Christmas table. Then there is wild grouse served with a tart-sweet berry sauce. Rice pudding is one of the traditional Christmas foods in Denmark. The ingredient list includes rice, milk, almonds, whipped cream and vanilla. Other treats include spherical pancakes, caramelised potatoes, and roast pork or duck. 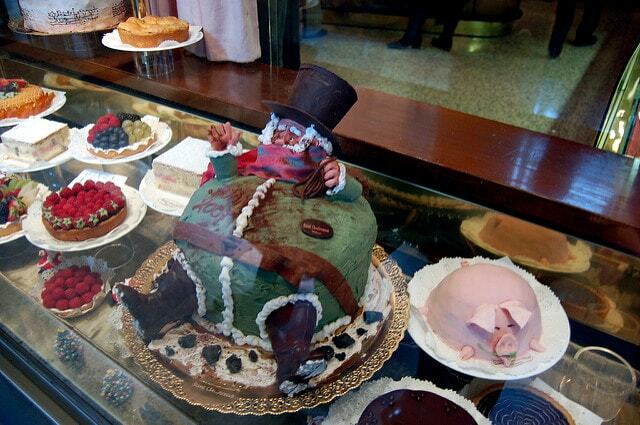 Along with sausages and ribs, cakes and cookies are the mainstay of Christmas meals in Norway. Julekake is a sweet bread with cardamom, candied peel and raisins. 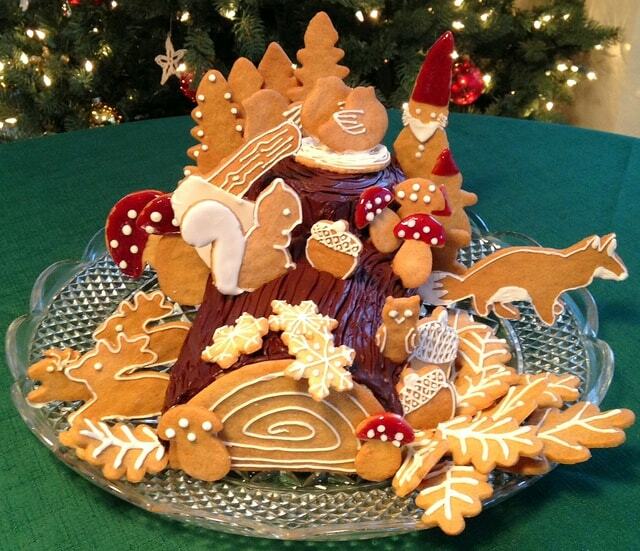 Wafer cookies, Krumkakes and moulded ginger cookies, Peculaas are other desserts served during the festive season. 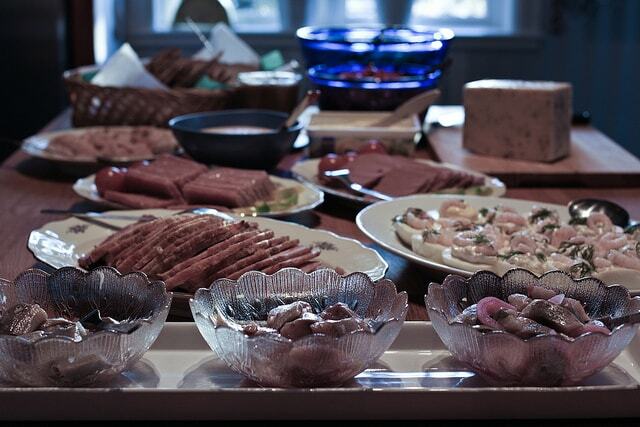 Julbord is the main feast on Christmas Eve. This is basically a buffer with assorted foods like cold meats, pickles, cheese and cold fish. The star of the buffet is undoubtedly Julskinka – boiled and crisp-roasted ham. No Christmas celebration is complete without saffron buns. 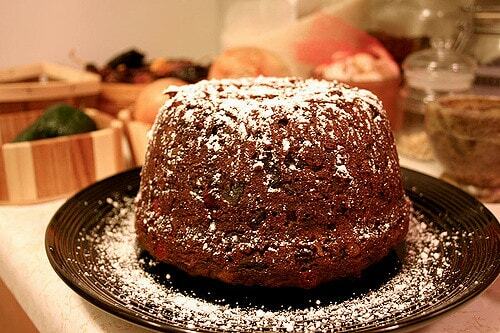 Have you tasted any of these traditional Christmas foods? Share your favourite holiday dish with us! 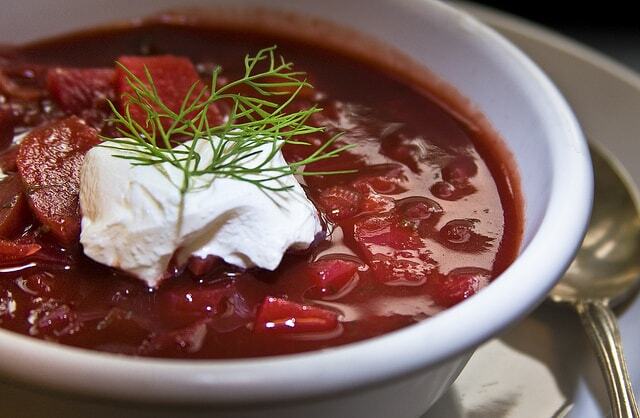 Sometimes we end up hating traditional foods when we had way too much of them during our childhood, I have a few items like that 😉 I love borscht though, it is one of my favourite winter foods! 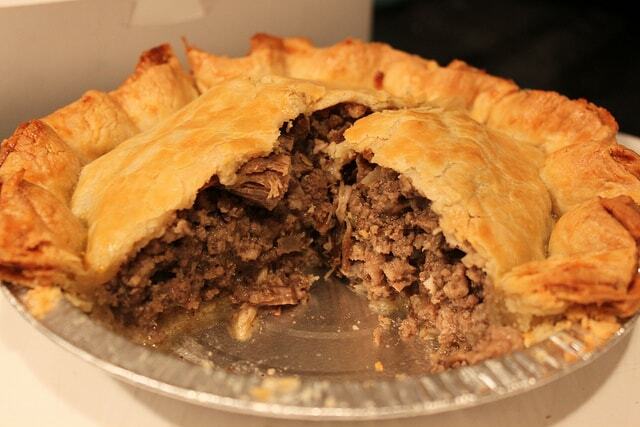 Fortunately, Tourtiere stays mostly in Quebec. Out west its boring old turkey. I think want to be in Cuba for Christmas next year. Their dining would suit me! These all look delicious! The Jamaican fruit rum cake is soooooo good. I love how every culture has they own unique Christmas tradition. Food especially 🙂 I want to try everything on here! This was such an interesting post! I loved reading about what all the different cultures have on Christmas day! I am from Australia and the good old Pavlova is definitely a favourite. We always have lots of salads, seafood (prawns mainly) and cold meats.